Conveniently recruit your next employee through our expansive job board. The Chamber’s Associate II level members and above can post open positions free of charge. 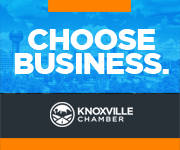 Browse open positions in Knoxville on the Chamber’s job board. Date posting should go live on iKnowKnoxville.com. Please select the minimum level of education required for the position. Link to position announcement on your company’s website. A company must be listed with the job posting. Please provide 10-digit phone number including area code.